Superdry men's Tyler slim shorts. 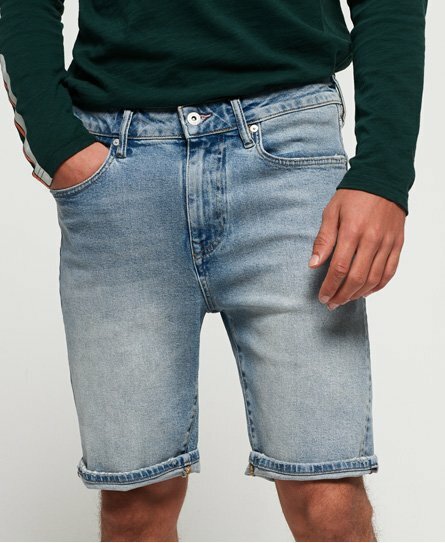 Denim shorts are a must when the weather gets warmer, and the Tyler slim shorts are a great option to have in your wardrobe. With the classic five pocket design, belt loops and a zip fly fastening, pair them with everything from a crew neck t-shirt to a button down shirt. These shorts have been completed with an embroidered logo on the coin pocket and leather logo patch on the rear of the waistband.